If you haven’t already received it, you will be receiving a letter from us informing you of the increases in coverage to the accident plan, all funded by your union. In this letter, it says that effective April 1st, you will have an increase in the payout amount for accident-related ER admission, urgent care, etc. However, so that you understand your enhanced/increased policies, as well as OPTIONAL policies provided at group discount rates, there will be a special ENROLLMENT from April 15th-April 30th, 2019. 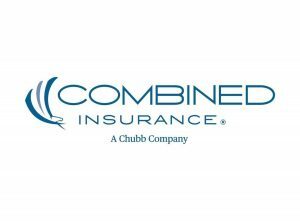 Benefit educators will be calling you from EOI Service Company, Inc., on behalf of the plan administrators (CHUBB/Combined Insurance) from either a 714, 970, or 657 area code. They will be explaining your benefit options and help you enroll in any coverages you choose to sign-up for. As stated in our letter to members, if you would like to pre-schedule your appointment, go to hawaiiibew.mybenefitsappointment.com. If you DO choose to elect a group rate insurance option, be ready with your bank account number, routing number, and name on bank account to be able to complete payment information. Make sure you don’t miss out on this awesome opportunity. Answer that phone call, or make sure you pre-schedule your appointment so that you don’t miss your opportunity to enroll.